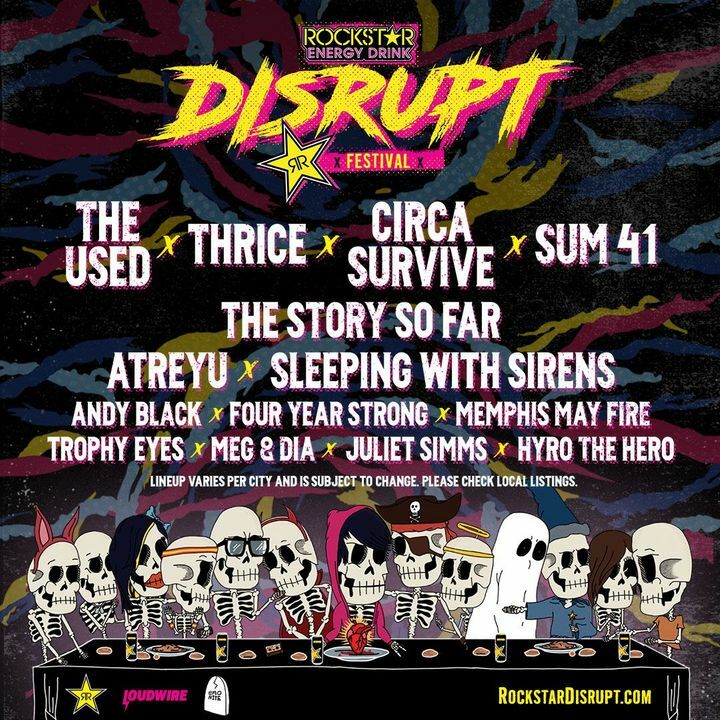 Tickets for Rockstar Energy Disrupt Festival are on sale now! Head over to https://rockstardisrupt.com to purchase. Thrice was excellent!! They sounded great!Just need to work on crowd interaction. Not that it’s bad to just play music but they would get bigger I think if they really tried to connect with the crowd. 2nd time seeing Thrice. Even though Dustin was having some end of tour throat issues (what I'd assume was the issue), they were still amazing. Awesome show for his birthday. Gonna try and see em again in February 2019. Really enjoyed the Thrice portion. Frankly I think the bill was not a great match. For a headliner as dynamic as Thrice, having two kinda one-note bands before them didn't work great. Most people I talked to said they felt relief when the first two bands were over. That being said, Thrice did a fantastic job and played a great set.